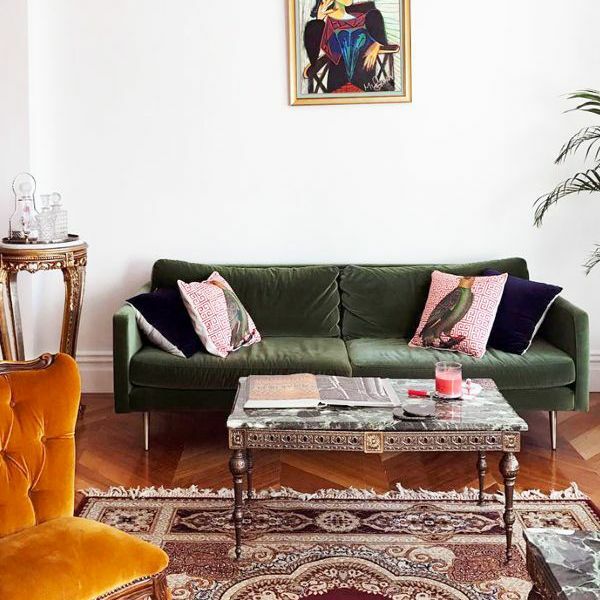 Whenever your home needs a seasonal refresh or you simply start to get bored of your interiors, the easiest and most transformative solution is to swap out your decorative throw pillows. Plus, they also offer up an opportunity to experiment with trends before you really invest in them with more expensive, large, and functional staple pieces. So yes, throw pillows are soft and comfortable, but they're definitely not all fluff. 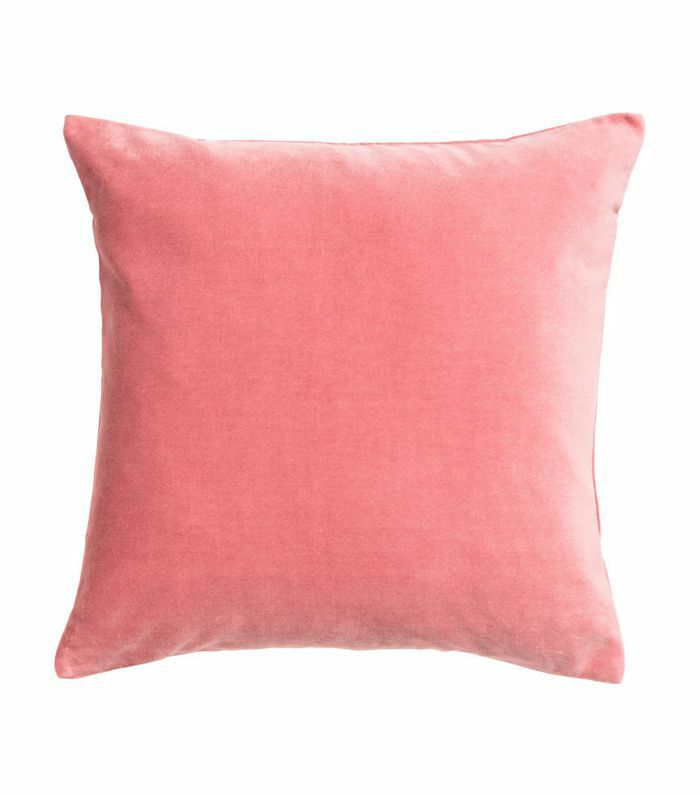 Adding a throw pillow will pack a ton of punch and bring out the subtle design features in every room of the house, whether you want something for your living room seating area, hallway benches, or in the bedroom. 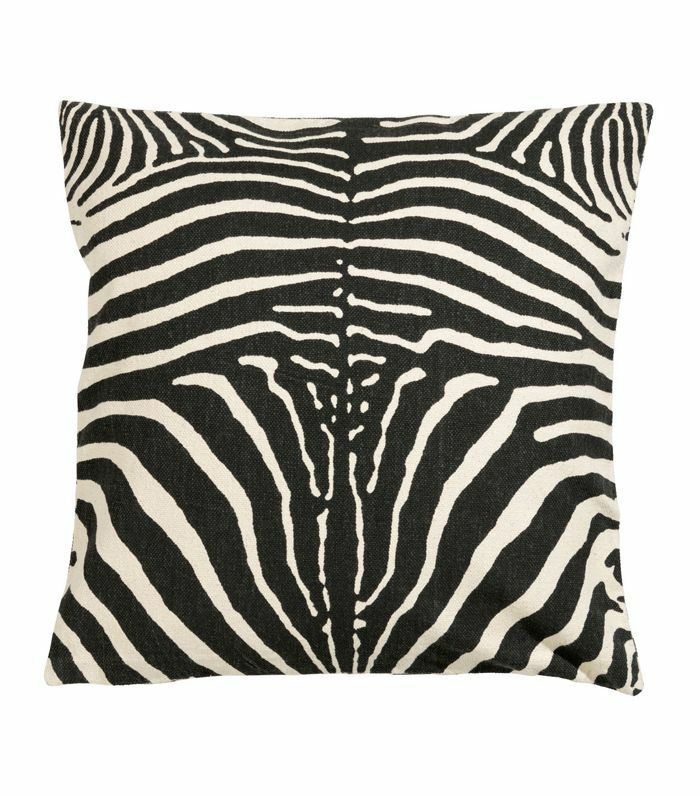 We went ahead and picked out 13 cheap decorative pillows that look seriously luxe and stylish. And the best part is that they're all $25 and under. Shop them now, and thank us later. Add a pop of sherbert to energize your space. And though the cheerful color is definitely summer-ready, the rich velvet material will make it last through the chillier months too. The secrets to a killer pillow game are balance and variation. So things like print-mixing, contrast, and texture are all welcome. 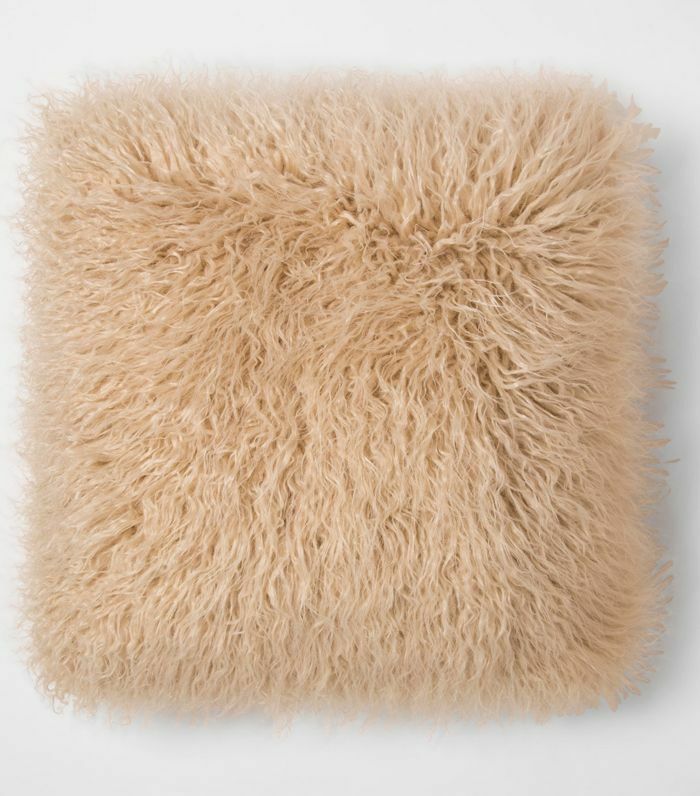 This faux-fur peach-colored pillow will do the trick. 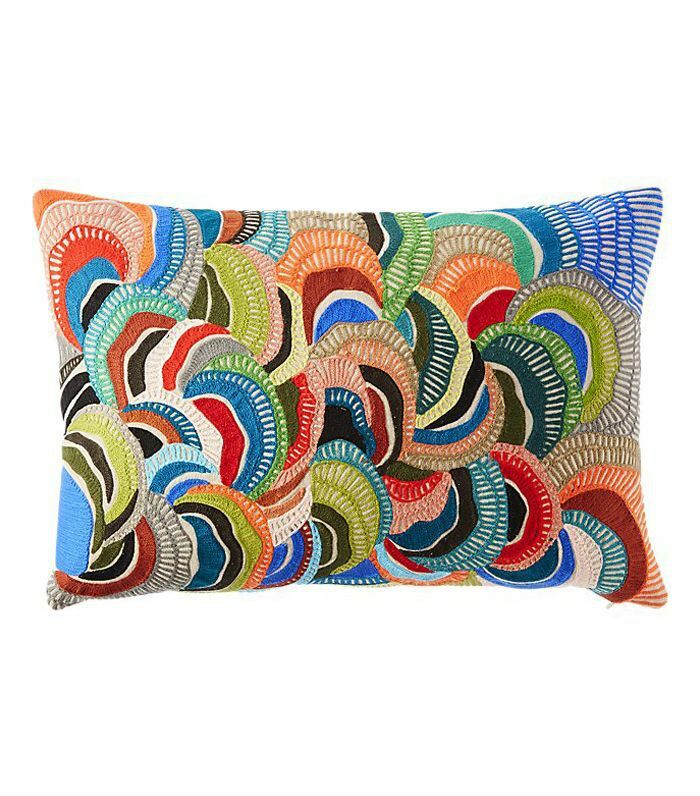 With geometric motifs and vivid hues, this pillow will steal the show in a home with a neutral color scheme or a similarly whimsical one. And if you ever feel like taking a break from the rainbow threads, you can reverse it to the simple ivory side. 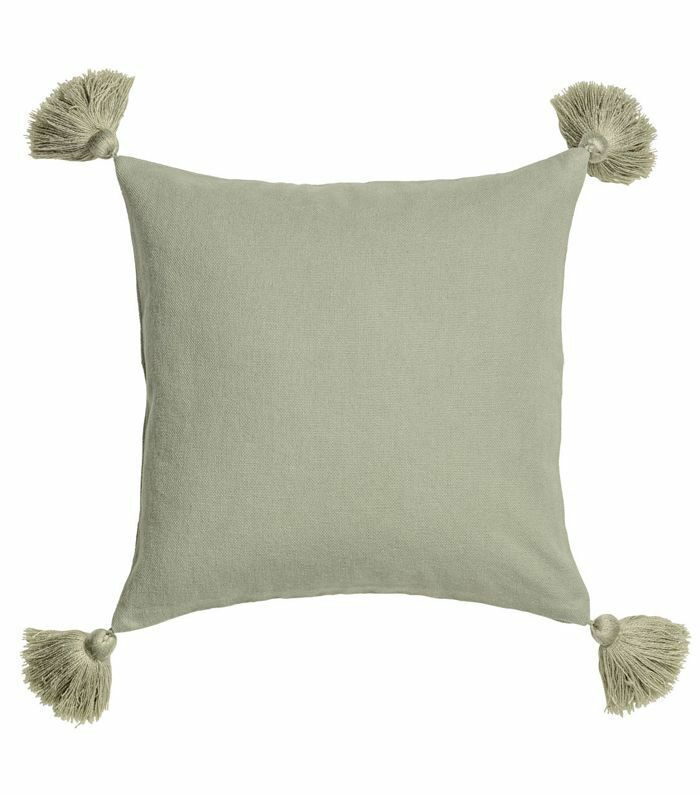 This dusky green cushion cover has a sweet feel to it, and we love how the tassels offer a unique texture and shape. 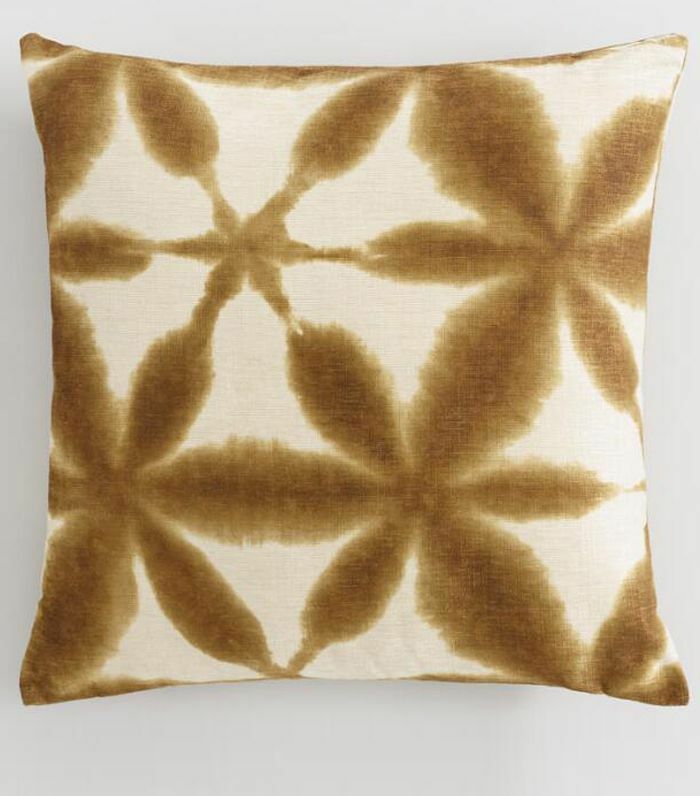 It can stand on its own on top of an accent chair or complement a collection on the bed or living room sofa. 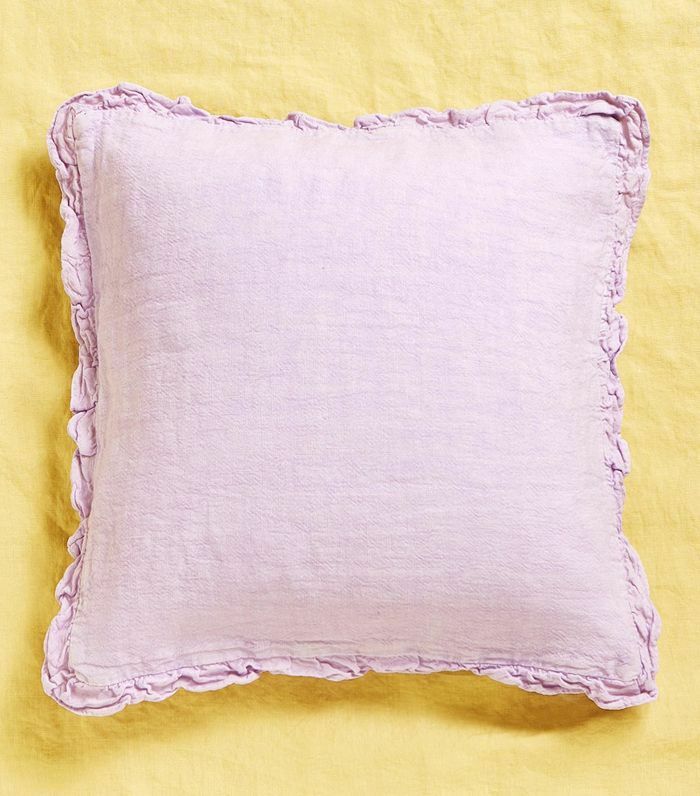 Lavender is the color of the season, and this linen pillow is the best way to test it out at home before you fully commit. It'd look beautiful against crispy whites, warmer beiges, chocolate browns, mauve tones, and bright orange-red shades. Warm copper and cream tones complement countless color schemes, and this watercolor appearance is relaxing on the eye. It's super comfortable too, so it does more than just sit there and look pretty. 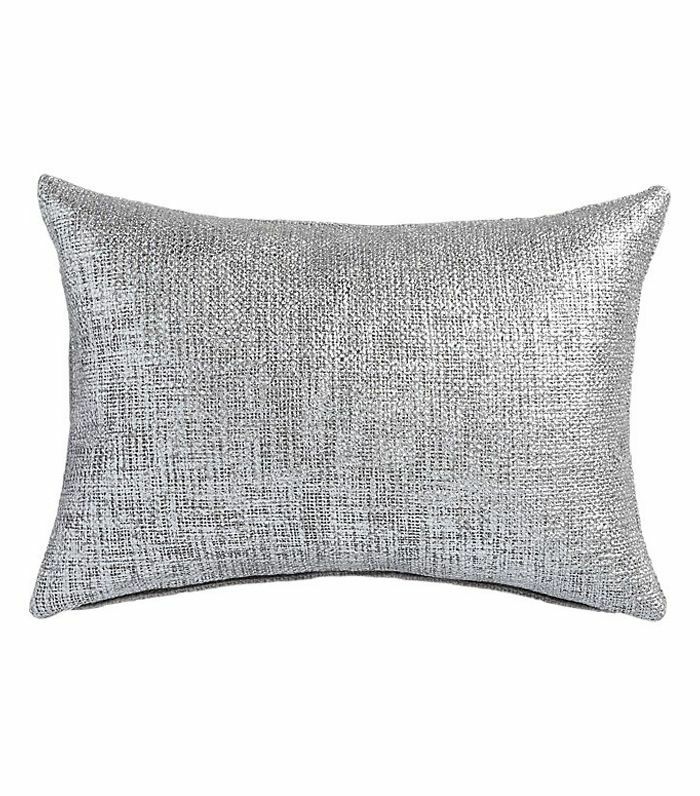 If you don't love bright colors but have a thing for metallic items, opt for this silver throw. If your space could some higher shine or you want to draw upon the other fixtures, accents, and hardware throughout the space, here's your in. 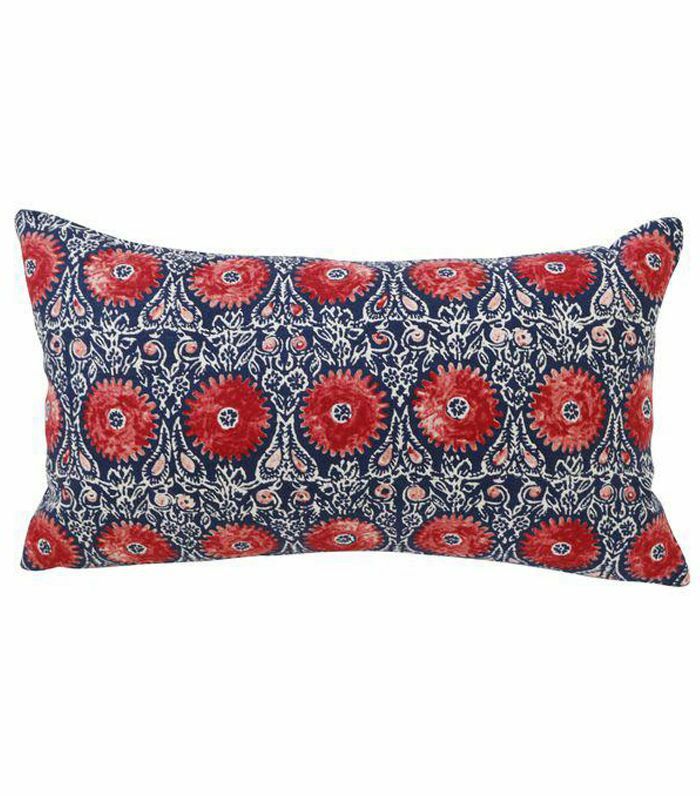 With eye-catching ruby medallions and dashes of white against the calming navy backdrop, this rectangular pillow is a gorgeous piece for a touch of bohemian California style. Don't be afraid to play with shape and proportion. 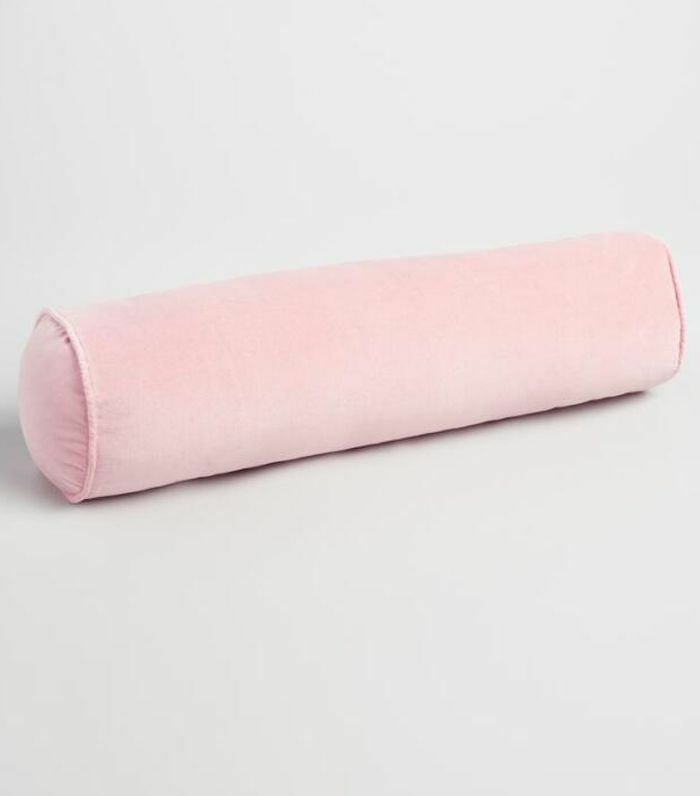 This cylindrical lumbar throw can either break things up with traditionally shaped pillows on a sofa or on the bed. And the blush pink hue is just perfect. 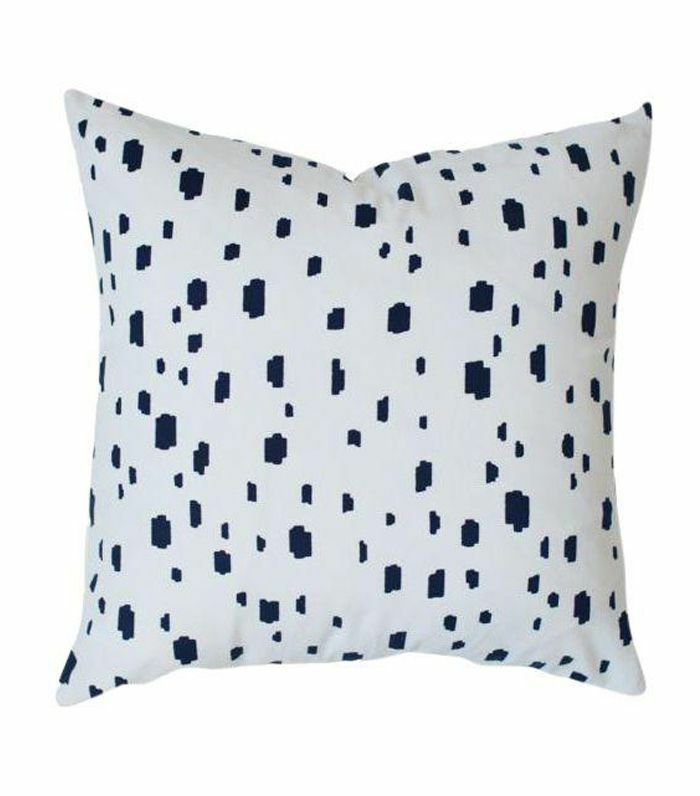 Bursting with personality while still being understated, this spotted navy-and-white pillow is the perfect print for a touch of fun while also exuding elegance. Since throw pillows are the perfect decorating opportunity to let your personality shine through, feel free to break away from matching sets. 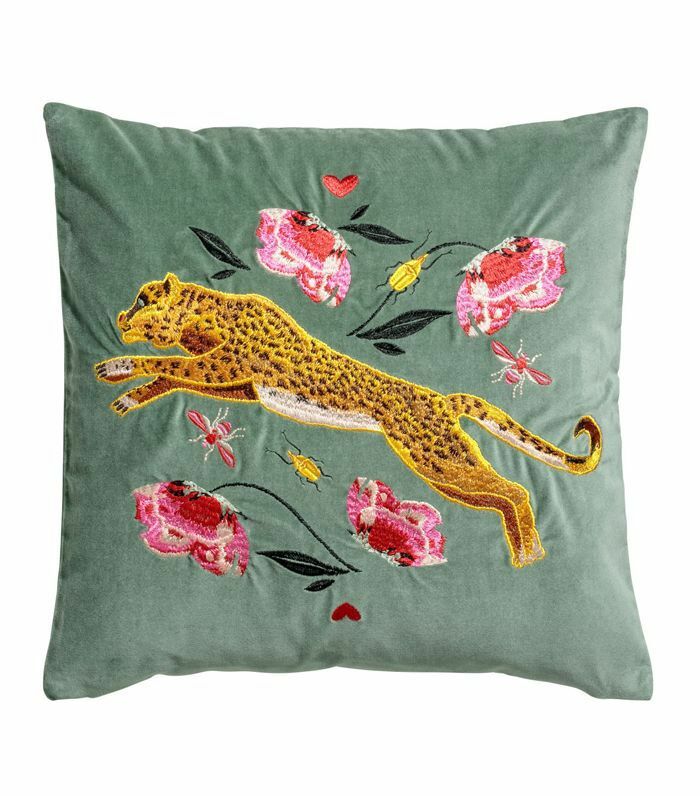 Intricate and cheekily embroidered pillows are a great way to do so. This one puts a fun, unique spin on the traditional look of embroidered throws. 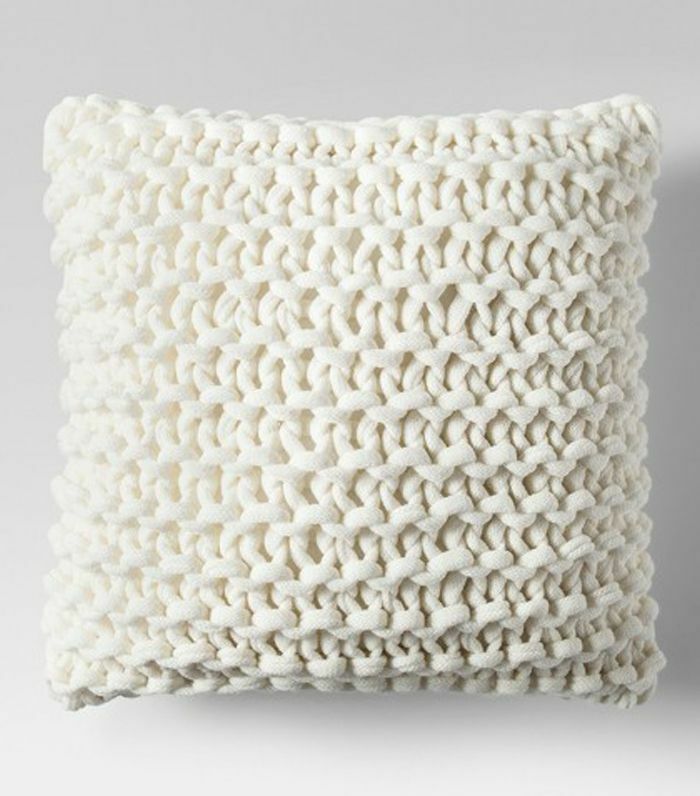 Introduce more dimension with this knit pillow. The soft neutral hue means it'll blend it anywhere, and yet it's far from boring. The cloud-like aesthetic and feel will also add a cozy, homier twist. Never underestimate the power of a fun animal-print throw. They instantly jazz up the space they're in whether sitting alone or working with a pile of other pillows. This one is bold and graphic and can be repurposed again and again since it features an easy black-and-white palate. And now, say goodbye to your blank walls with these affordable pieces of art.